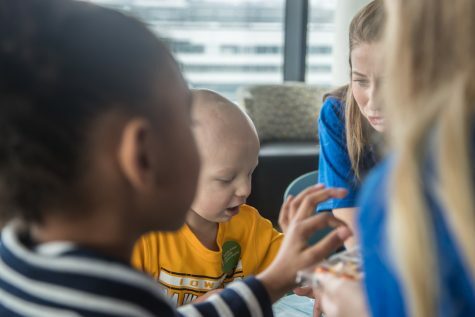 For kids unable to make it Dance Marathon’s Big Event, Dance Marathon brings the Big Event to the kids in the UI Stead Family Children's Hospital. 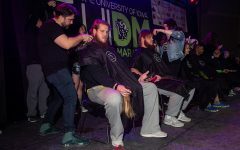 For some children affected by pediatric cancer, attending University of Iowa Dance Marathon’s Big Event is not possible due to a weakened immune system or other medical issues. 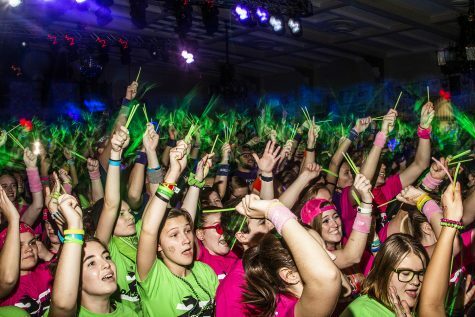 For these kids and their families, Dance Marathon’s hospital committee throws a mini-Dance Marathon during the Big Event, complete with a DJ and plenty of glitter. Kids decorated cookies, completed arts-and-crafts projects, and had a visit from Herky and Perky, the UI Stead Family Children’s Hospital mascot. 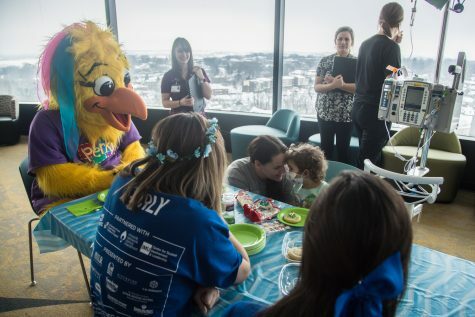 Patients and their families, along with volunteers, celebrate Dance Marathon 25 at the University of Iowa Stead Children’s Hospital on Feb. 2. 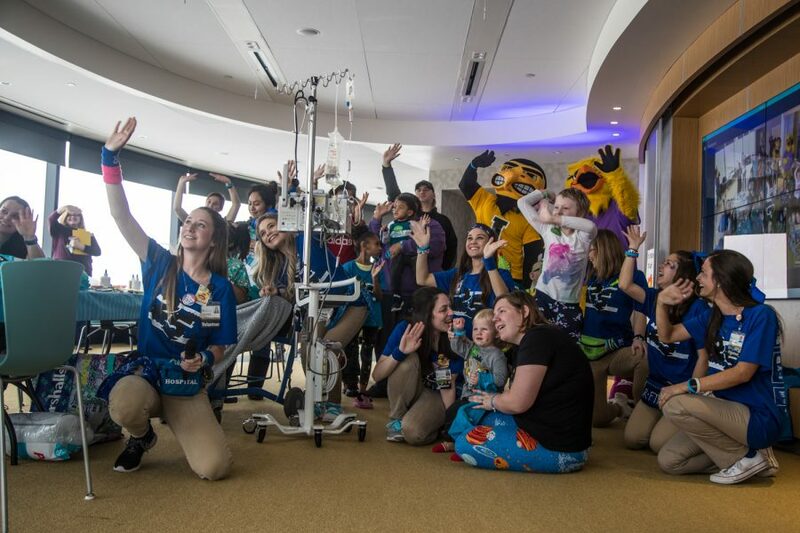 This year’s event also included the introduction of a wave between dancers at the IMU and kids and families at the Children’s Hospital over Skype. 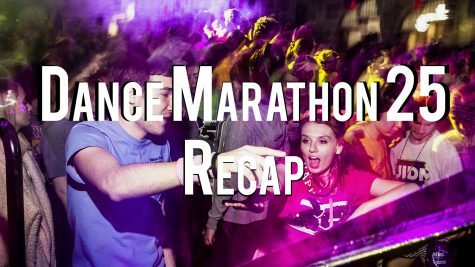 Vasilakos said Dance Marathon holds inpatient programming throughout the year to support families in the hospital. 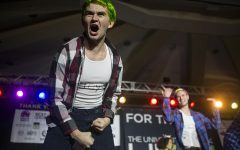 “We have lifelong connections with [the kids]. It’s so fun to see them grow up and come to our parties weekly or come craft with us. 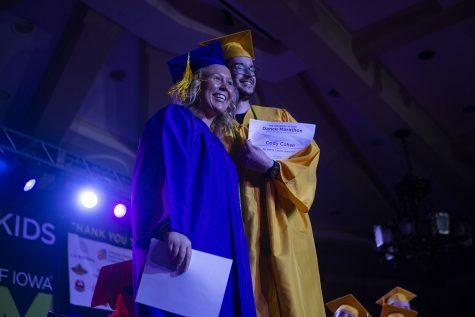 It’s really special to make those connections,” Vasilakos said. 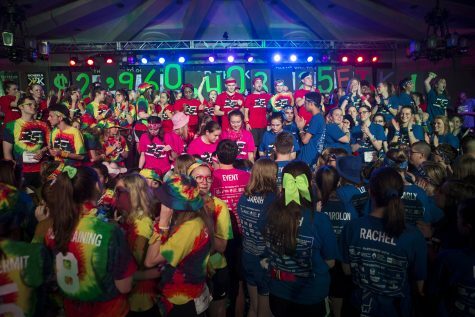 Gillian Fiandaca, a member of Dance Marathon’s Executive Council, said support from hospital volunteers goes beyond fundraising. 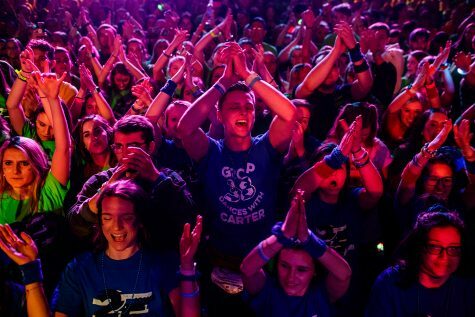 “Dance Marathon is huge for fundraising, but emotional support is huge for families in inpatient also,” Fiandaca said. Support from the hospital committee extends to families who have lost children to cancer as well. 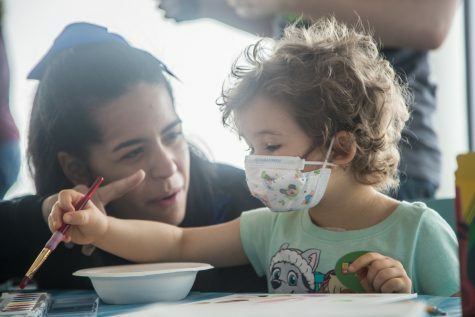 Fiandaca said the “Dancing in our Hearts” luncheon, as well as the graduation ceremony for children in remission, are the other top priorities alongside the mini-Dance Marathon. For April Drew, whose daughter Isabel is a patient at the Children’s Hospital, Dance Marathon has provided support to the family. 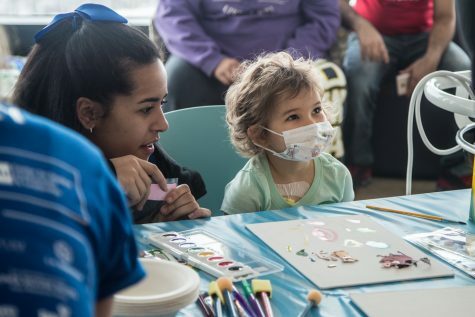 Isabel was diagnosed with acute myeloid leukemia in March 2017. 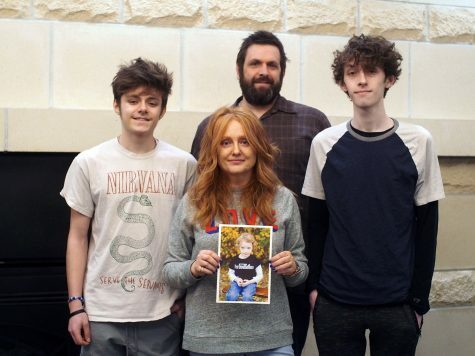 She and her family attended the Big Event in 2018, but the Drews were unable to attend this year because Isabel’s immune system has been compromised after a bone-marrow transplant. 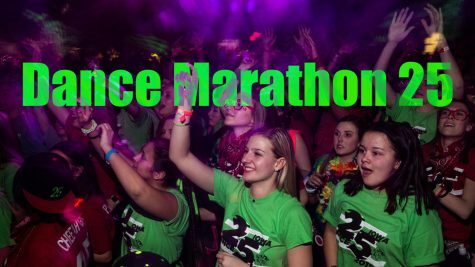 Drew hopes her family will eventually be able to attend Dance Marathon events at Adventureland when Isabel’s immune system is stronger. 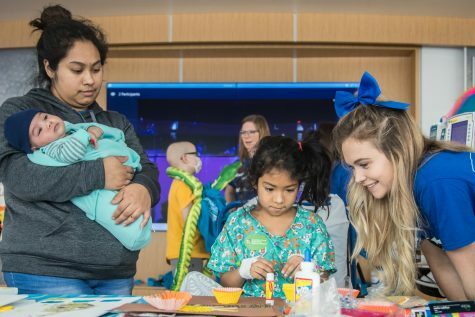 Olivia Trevino, a student child-life specialist assistant, said events such as these can make life a little easier for kids in the hospital.